As someone who loves a good quiz question almost as much as I love comedy, and with only a week to go to this year’s Edinburgh Fringe Festival, I was delighted to interview stand-up comedian and The Sinnerman Chaser Paul Sinha, who will be bringing his new show The Two Ages of Man to Edinburgh this August. Me: Tell us more about your Edinburgh Fringe show The Two Ages of Man and what for you are those two ages? Paul: Every Fringe veteran has an ageing show in them. This year is mine, in which I argue that, broadly speaking, you are either on your way up or on your way out. The truth, and hopefully the show, is a lot more nuanced than that. Me: How would you describe your comedy in 10 words? Paul: Selectively honest storytelling that never forgets the importance of jokes. Me: As a Fringe veteran, what’s your favourite thing about performing at the festival and what advice would you give to those performing at the festival for the first time? Paul: It sounds obvious, but the location. Stunning architecture, great bars and restaurants. My advice is simply, don’t just stick to comedy industry activities. Me: Who else are you looking forward to perform at this years’ Fringe? Paul: I don’t forensically analyse the programme until I am in Edinburgh. But off the top of my head; Jen Brister, Darren Harriott, Mat Ewins, Jacob Hawley, Bethany Black. Me: Are there any quiz shows you haven’t yet appeared on that you would like to and if you could choose any co-contestants to appear with you who would you choose and why? Paul: Only Connect with my sister and my boyfriend. We have watched one hell of a lot of episodes together and make a strong team. And, for more obvious reasons, Who Wants to be a Millionaire. Me: As well as being a Chaser you write and host your own quizzes, but what’s your favourite and least favourite quiz questions of all time? Me: According to the source of many quiz answers, Wikipedia, you are the world’s only gay Anglo-Bengali GP turned stand-up comedian and ranked 7th in the National Quiz Rankings and 14th in the World Quizzing Championships. Apart from rising higher in those quiz rankings is there anything else you would like to known as? Paul: I don’t have huge ambitions. But one day I would like to write professionally about sport. Me: And finally, what’s coming up next for you after the Fringe? Paul: A four day holiday to New York. Not nearly long enough. 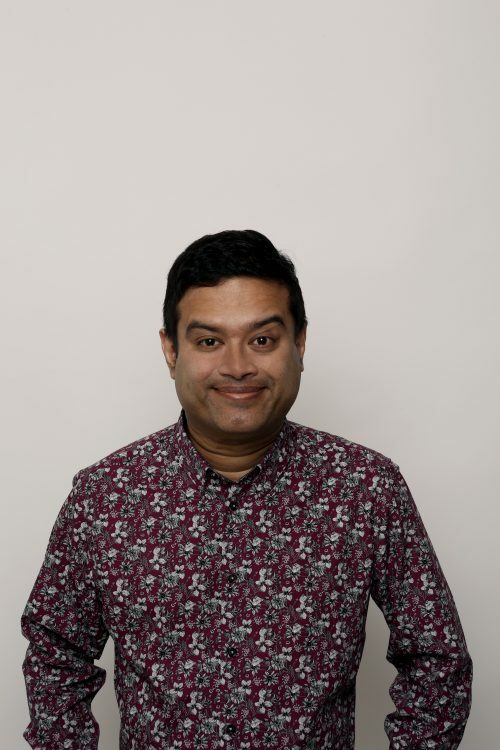 Paul Sinha will be performing his new show The Two Ages of Man from Friday 3rd to Sunday 26th August (with a preview show on Wednesday 1st August and no show on Monday 6th and Tuesday 7th) at The Stand Comedy Club. For more information and to book visit https://tickets.edfringe.com/whats-on/paul-sinha-the-two-ages-of-man. Fans should also not miss In Conversation With … Paul Sinha on Wednesday 8th August at 12noon in The Stand’s New Town Theatre – Grand Hall. For more information and to book visit https://tickets.edfringe.com/whats-on/in-conversation-with-paul-sinha. For further information on Paul Sinha visit www.paulsinha.com and follow him on Twitter at https://twitter.com/paulsinha.